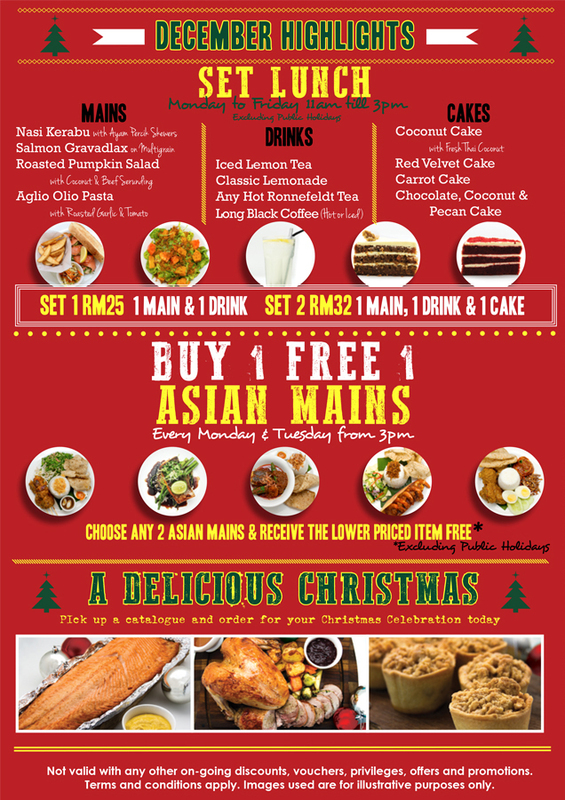 This Christmas is getting really exciting at Delicious Café, Kuala Lumpur, besides the special Christmas Menu; there is the new menu that features 16 new and improved food & drinks with a hint to a healthier living. They have also started to roll out a Monday & Tuesday Specials night of “BUY 1 FREE 1” dishes with terms and conditions. Inspired from a recent research trip to UK and Barcelona, Spain, Delicious’ CEO, Steve Allen is coming up with many “healthy yet delicious” idea, he told Gibson that a simple sauce such as a tomato sauce has now been enhanced by fresh vegetables such as fennel, shallots and leeks as well as fresh herbs including tarragon & parsley. However, Local fusion is still something that Steve Allen is enthusiastic to try; he told Gibson that this salad is based on all his favorite ingredients from Malaysia, such as Beef Serunding, fresh papaya, pumpkin, coconut, lime and chili. They are taking “Confit Duck Spaghettini” off the menu that has been “around” for 11 years, and replacing it with Duck Arrabiata. However, Steve told Gibson that although some people may miss the original dish, rest assured it’s still on the secret menu and available on request. Deep frying the Chicken wings with seaweed seems to add some ocean flavour to the white meat, and the sweet mustard mayonnaise is like the icing of the cake, bringing the dish to perfection, short of either one, you won’t get a kick out of the dish. In Delicious, there is another “Brain” behind the kitchen, he is the executive chef Sandy Alan Rowe. He told Gibson than they like to try the same ingredients with different sauce or cooking method, because life is full of surprise. 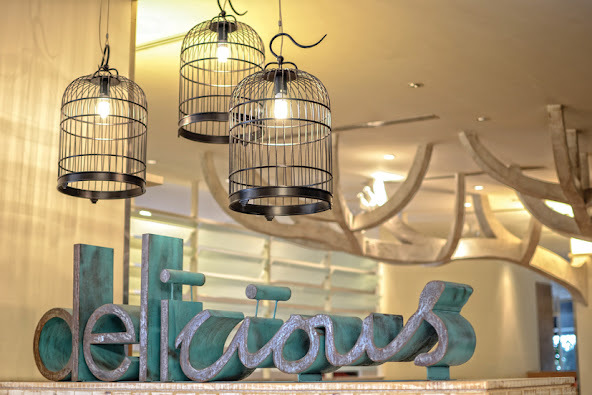 Delicious is well known for their Coconut cake, but now they have Chocolate, Coconut & Pecan Cake to add to the fun. New foods are complimented with new drinks, thereby completing the new menu, so here you are, 2 very “localized” drinks that taste quite “western” after been given a twist from the creative Steve. In addition to all the items of the new menu, they have started to roll out a Monday & Tuesday Specials night of “BUY 1 FREE 1” dishes. In the month of December, the Asian Mains get the spotlight followed by Sandwiches, Burgers & Wraps in the month of January. Available from 3pm every Mondays and Tuesdays, customers can choose any two of these dishes and they will receive the cheaper priced item absolutely for free. Address: Lot GF-1, Ground Floor, Bangsar Village 2, Jalan Telawi, 59100 Kuala Lumpur. Address: Lot G316, Ground Floor, One Utama Shopping Centre (New Wing), 1, Lebuh Bandar Utama, Bandar Utama, 47800 Petaling Jaya, Selangor. Address: Lot G(E)-011 & G-001, Ground Floor, Mid Valley City, Lingkaran Syed Putra, 59200 Kuala Lumpur. Address: LG2.55 & LG2.55A, Lower Ground Two, Sunway Pyramid Shopping Mall, No. 3, Jalan PJS11/15, Bandar Sunway, 46150 Petaling Jaya, Selangor. Address: LG29, Setia City Mall, Seksyen U13, Setia Alam, 40170 Shah Alam, Selangor. Address: G-7 & G-8 Tower A, St Mary Place No. 1, Jalan Tengah, Off Jalan Sultan Ismail, 50250 Kuala Lumpur.